So much work goes in to one day – there are many times where I feel like it’s not worth it. Christmas morning is not one of them. This year we were again able to sleep in (a huge advantage to having small kids who tend to sleep for 12 hours), and in fact, had to wake Ella up when I started getting ancy. She was a little more subdued than I thought she’d be, but loved everything. Sophie wasn’t so much interested in the presents as first as she was the candy – that will teach us to leave the stockings till the end – but did lots of hugging of toys and nodding her head fervently when asked if she liked something. Tom spoiled me rotten, and I think he was happily surprised with his gifts. It was a great day filled with mounds of wrapping paper, candy for breakfast, lounging in pajamas, and of course – zombies. Oh yes, this was a zombie-filled holiday for us – something I never thought I’d say. Ella made Santa a Zombie Dorothy cookie (“because he will think it’s cool, Mommy – I know he knows how I talk about zombies every day”), she got two zombie dolls (one – a Zombie Dorothy by Auntie Kari that is possibly the coolest thing ever) and a zombie calender. So from our un-dead house to yours – Merry Christmas! 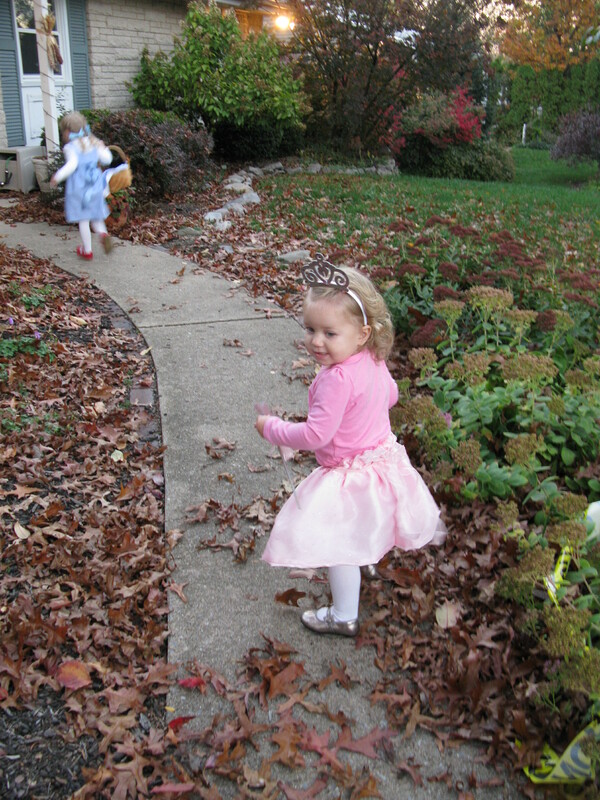 Ella has been talking about this Halloween since – oh…5 minutes after trick-or-treating last year. I finally started talking to her seriously about costumes at the beginning of September. I wanted her to be a peacock. She wanted to be a witch. 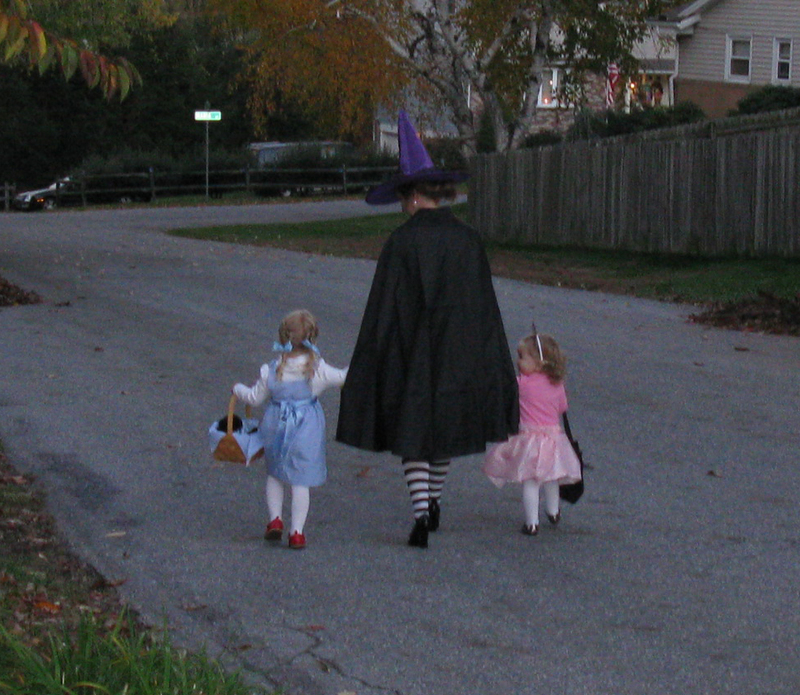 Fine – so a few days later it was settled that we would be a coven of witches. With my JoAnn’s coupon in hand, I bought fabric, and after patiently waiting for the $1 pattern sale, had everything I needed to get sewing. I think it was about two days after the supplies were gathered that I happened to put my hair into two braids. Ella looked at me and said, “Momma! You have Dorothy braids!” I guessed that yes, I did have Dorothy braids, and accommodated her wish to have her hair done the same way. All of a sudden, she was Dorothy. We had to call her Dorothy, or she wouldn’t answer, and she insisted her hair be in braids every. single. day. I’m going to let you draw your own conclusion as to what happened to our coven of witches. 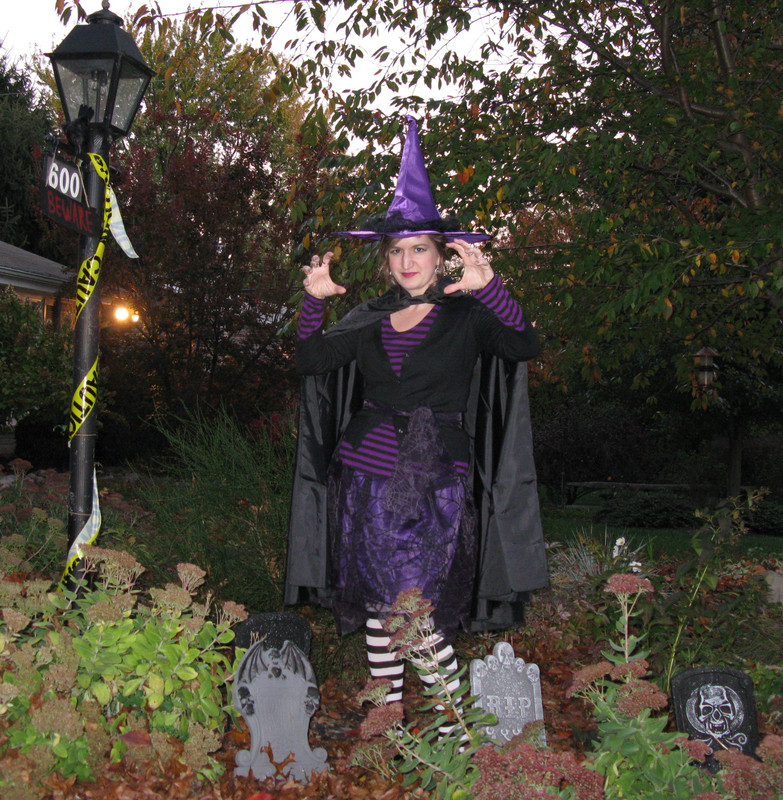 She did inform me that I could most certainly (yes, those were her exact words) be the Wicked Witch. 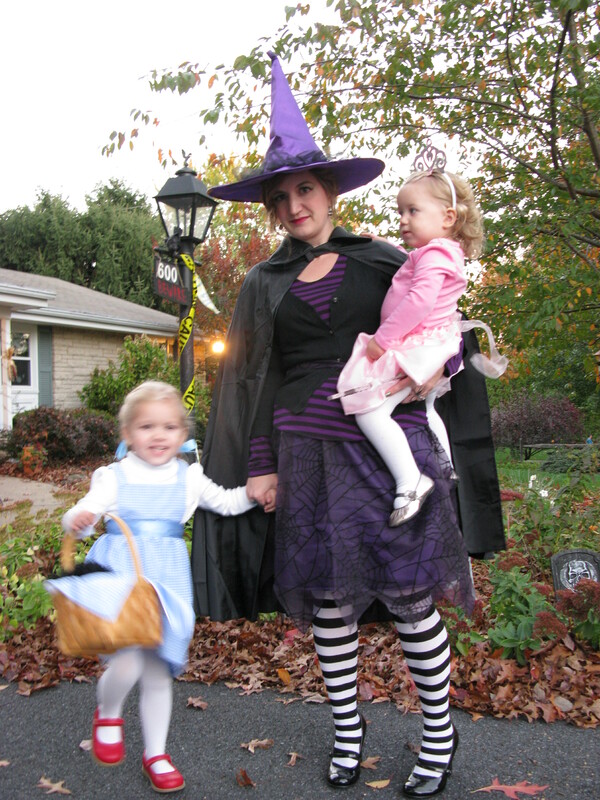 Sophie could be the good witch. What about the fabric I bought? We’ll just get more, Mom. Awesome. So helpful. Of course I gave in. 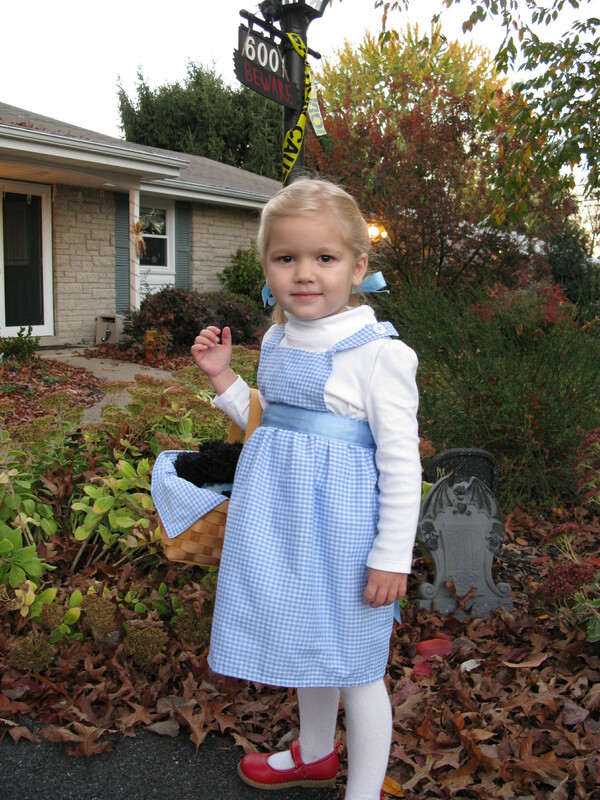 She’s been obsessed with The Wizard of Oz ever since we saw the play this Spring, and the fascination didn’t appear to be fading any time soon. We even finally rented the movie (which – it should be noted – was completely different from the play, which was based on the book – silver shoes, no singing, etc.) because there’s nothing like feeding a frenzy. I definitely put the most effort into Ella’s costume. Sophie got a skirt, a wand, and a crown made – but no intense sewing – there was no way I was attempting those poofy sleeves from the movie. I did an elastic waist skirt for myself , out of the fabric we had purchased for the coven, and used store-bought items to finish it all off. 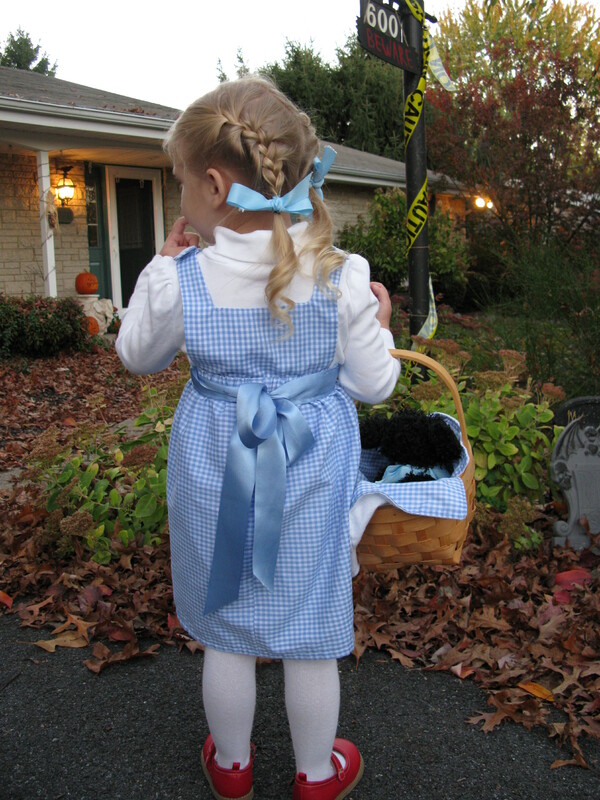 Ella though – she had some red shoes already (I wasn’t invested enough in the look to go out and buy a separate, sparkly pair) and tights and a white turtle-neck – but she needed The Dress, and of course, a Toto. I’m not confident enough to wing anything past an elastic-waist skirt, so I waited again for the pattern sale and picked up the appropriate look, knowing I could stick to just the jumper and ignore the shirt that looked way too complicated. Oh. Except there was this problem – the people who make patterns are NOT RIGHT IN THE HEAD. The amount of fabric they wanted me to use for the skirt would have been too big for me. Seriously. So I used the piece for the top, and that was it. The rest was me winging it. Including lining it, because man was that fabric cheap! I guess the $3/yd price tag should have clued me in to the quality. Winging it, at least for me, tends to involve a lot of cursing and a lot of seam-ripping. 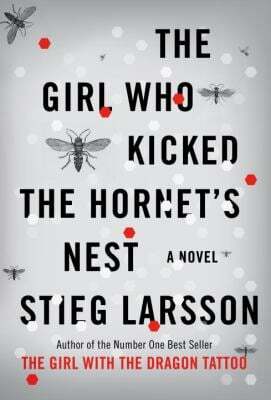 I’d say it was kept to about a Medium level – so all in all, not bad. Of course, because of the way I sewed the ribbon on (the main source of the cursing and seam ripping) this baby is TIGHT. There’s no way it will fit her next year, because it is s-n-u-g. But man, is it cute. I had a hell of a time finding a Toto. I finally ended up at the ghetto Toys-R-Us (it’s across the street from the prison) searching in the bins for any black dog, no matter what breed. 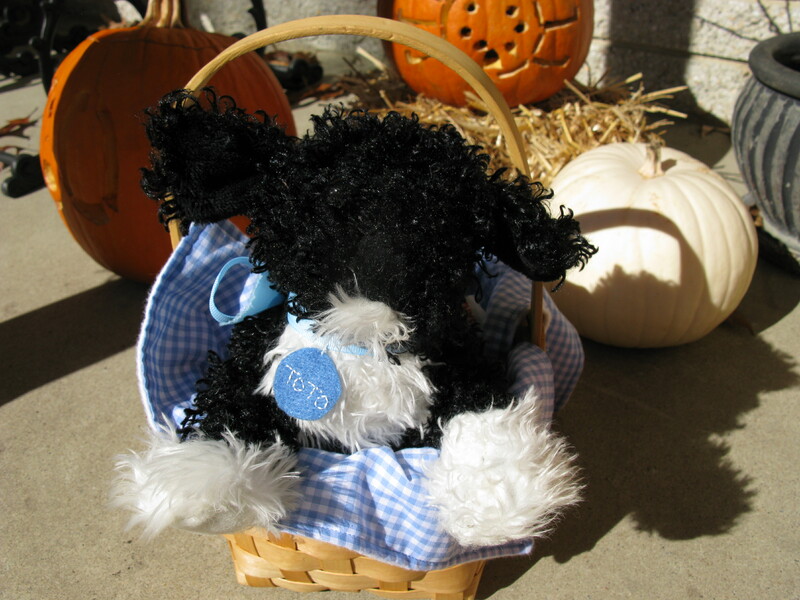 And thank you, President Obama – there was a Webkinz Portuguese Water Dog. All because of Bo, the First Dog. Of course I had to get it (along with a mini version for Sophie). He’s party-colored (black and white) but I thought it was very appropriate that she have a Portie in her basket. Maybe it’s because I miss my own Portie so much, or maybe it’s my need to have more projects on my plate than I can handle, but I went ahead and took the time to make him a blanket and embroider an ID tag. 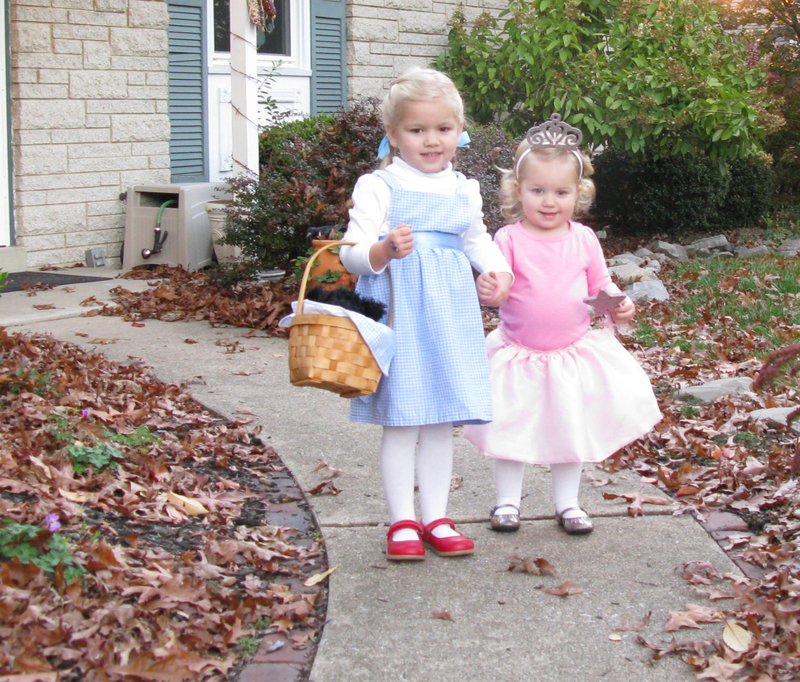 Glinda was more than happy to guide Dorothy down the…um…gray-paved-road. 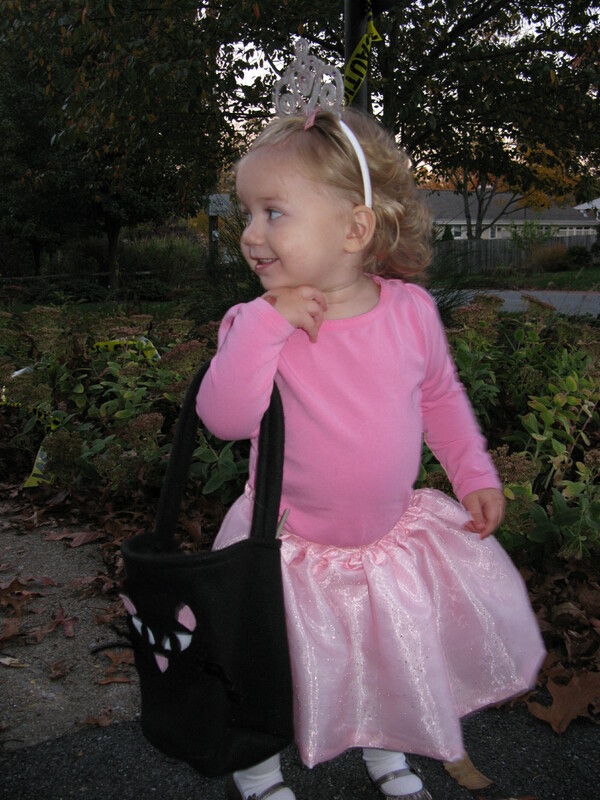 Glinda’s costume may have been less involved (although – that fabric had little rhinestones on it and was a bugger to sew), but we managed to lose Ella’s old pumpkin bucket that was to be Sophie’s for trick-or-treating. So I had to make something. 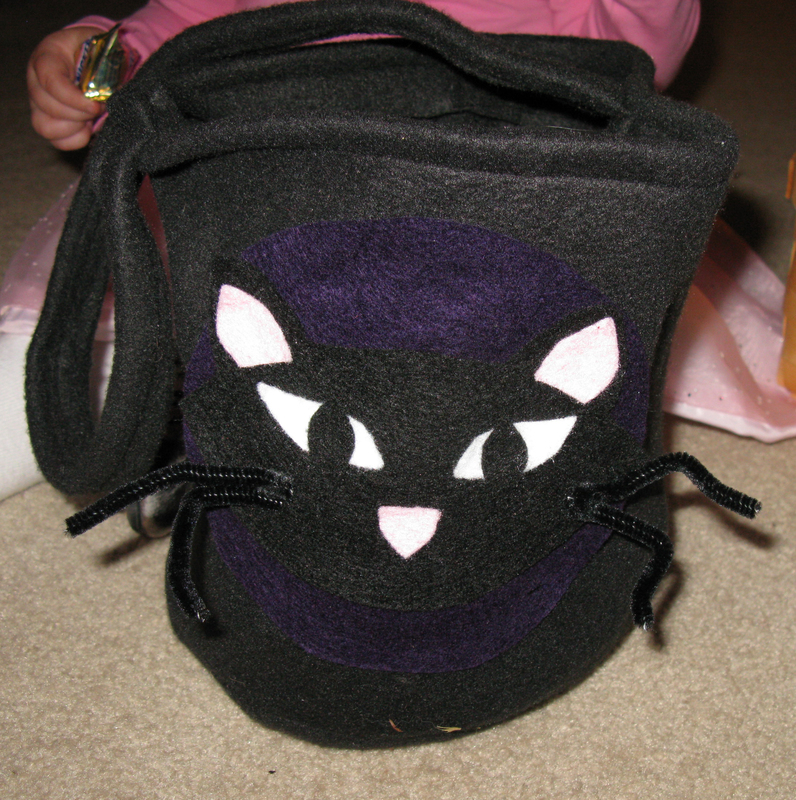 And since she loves kitties, I figured a kitty-bucket would be perfect. Yeah. Tom made me pose like that. For the past 10 years or so, I’ve always had a dream in the back of my mind that I would love to own my own shop. It would be dedicated to those finishing touches – decor, practical and very impractical (but fantastic enough you’d want it anyway). Specifically? Anything. Anything I felt like making that I thought other people would enjoy: wreaths, ornaments, frames, decorated furniture, jewelry, clothing, art – anything. My friend Lori was a co-dreamer almost from the beginning, and we had incredibly elaborate conversations about where the shop would be, what it would look like, and the contents. But of course, owning your own business requires a huge leap that we were never in a place to take – or willing to accept the risk, I guess. I’ve done a few things to fill that need for creating – I participated in a “local artist” craft fair, with my sister Kari and my mom, for a couple of years, but it was two months of preparation for two days of potential sales. And of course I subject my family to be the guinea pigs for whatever new thing has inspired me that month. So much so that I’m sure they sometimes wish I’d just go for gift certificates instead. So I do manage to get my crafty urges out in one way or the other, but it’s not exactly my dream of making money doing something I love. I heard about the online store, Etsy, about a year ago. It’s a website dedicated to handmade items, allowing artists and craft-addicts to sell their wares, similar to an eBay style shop, but at set prices instead of bids. I checked it out the first time I heard the name, and was pleasantly surprised at how easy and cheap it is to set up your own shop. And every month or so, I would get a brilliant product idea – but I either never followed through, or I would check for similar items and find that oh, only 300 or so other people were doing the exact same “original” idea. So it remained in the background of my mind like a CNN crawl, always there, but never the main focus. And then I was having a conversation with my brother-in-law, a few weeks ago, about his first big step to start selling his baked goods. I was joking with him that I really wanted to sell some things on Etsy, and I was projecting my possible profits to be in the 10’s of dollars. His response? You have to start somewhere. So I did it. I started my own Etsy shop. Seriously. I finally put the effort forth and got a very small inventory together (which will grow a little bit in the coming week, but not by much), took pictures, figured out prices, drew my own logo (thank you very much), and now it exists. And there is a very good possibility that not one thing will sell and my family will be receiving these specific items as Christmas presents (which is why none of you are allowed to buy anything just to make me feel good). But at least I will have attempted to do something I’ve only thought about for 10 YEARS! It’s about time. Usually when I feed Ella in the living room we turn on a kids show to keep her entertained. I found an episode of Backyardigans on Tivo but when it started to play it turned out to be Yo Gabba Gabba instead. Ella and I were both mesmerized, as was Tom after I called him in to witness the awesomeness of this show. Ella was totally into the whole show and even gave me a high five at the end of it. Tom and I are sold. I mean, any show that teaches good behavior and also includes a dance sequence where a bumby orange monster does The Sprinkler deserves to be added to the Tivo list permanently.